A girl gives some coins to a street musician. ​Times have changed. What a difference 60+ years makes! You don’t have to be into Car Racing to enjoy this. John was in the fertilized egg business. He had several hundred young ‘pullets,’ and ten roosters to fertilize the eggs. 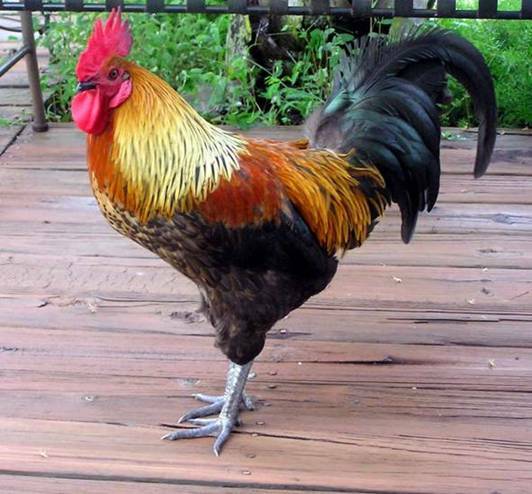 John’s favorite rooster, old Butch, was a very fine specimen, but one morning he noticed old Butch’s bell hadn’t rung at all! To John’s amazement, old Butch had his bell in his beak, so it couldn’t ring. He’d sneak up on a pullet, do his job and walk on to the next one. John was so proud of old Butch, he entered him in the County Fair and he became an overnight sensation among the judges. The result was the judges not only awarded old Butch the “No-Bell Piece Prize,” but they also awarded him the “Pulletsurprise” as well. Vote carefully next election – the bells are not always audible! 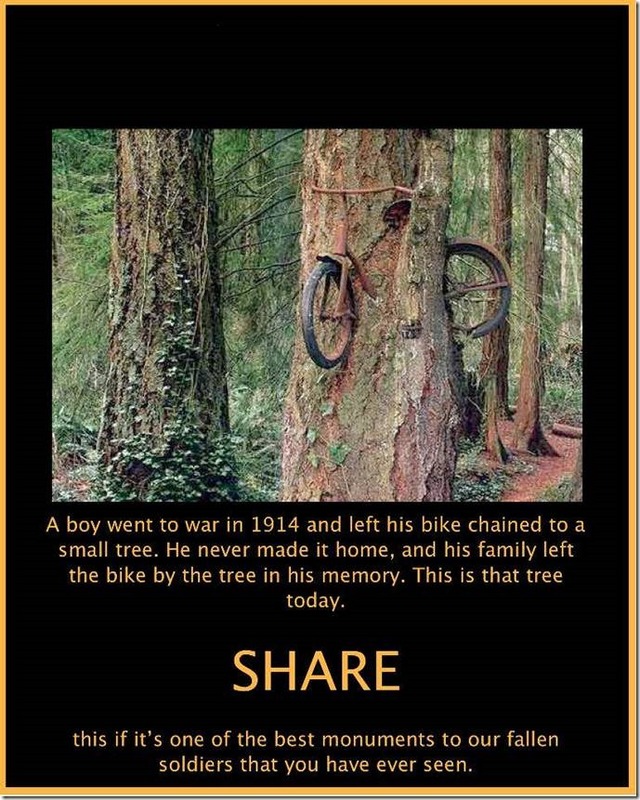 A boy chained his bike to a tree, 98 years ago, then went to fight in WWI. The tree is on Vashon Island, which is between Tacoma and Seattle Washington. Need a smile. Click below. He looks at her, she looks at him, and they go running behind the shrubbery. AND WHAT WERE YOU THINKING??? Students in an advanced Biology class were taking their mid-term exam. The last question was, ‘Name seven advantages of Mother’s Milk.’ The question was worth 70 points or none at all. 7) It comes in two attractive containers and it’s high enough off the ground where the cat can’t get it.